If someone secretly installed software on your computer that recorded every single keystroke that you made, would you be alarmed? Of course you would be, and that is essentially what is taking place on more than 400 of the most popular websites on the entire Internet. For a long time we have known that nothing that we do on the Internet is private, but this new revelation is deeply, deeply disturbing. If you have the uncomfortable sense someone is looking over your shoulder as you surf the Web, you’re not being paranoid. A new study finds hundreds of sites—including microsoft.com, adobe.com, and godaddy.com—employ scripts that record visitors’ keystrokes, mouse movements, and scrolling behavior in real time, even before the input is submitted or is later deleted. Do you understand what that means? Even if you ultimately decide not to post something, these websites already know what you were typing, where you clicked and how you were moving your mouse. In a blog post revealing the findings, Steven Englehardt, a PhD candidate at Princeton, said: ‘Unlike typical analytics services that provide aggregate statistics, these scripts are intended for the recording and playback of individual browsing sessions, as if someone is looking over your shoulder. A study published last week reported that 482 of the 50,000 most trafficked websites employ such scripts, usually with no clear disclosure. It’s not always easy to detect sites that employ such scripts. The actual number is almost certainly much higher, particularly among sites outside the top 50,000 that were studied. I am calling on every website that is using this sort of code to cease and desist immediately. This is a gross violation of our privacy, and Congress needs to pass legislation protecting the American people immediately. CIA-created malware can penetrate and then control the operating systems for both Android and iPhone phones, allege the documents. This software would allow the agency to see the user’s location, copy and transmit audio and text from the phone and covertly turn on the phone’s camera and microphone and then send the resulting images or sound files to the agency. So just like the Internet, nothing that you do on your phone is ever truly private. And would you be shocked to learn that our televisions can be used to spy on us as well? A program dubbed “Weeping Angel” after an episode of the popular British TV science fiction series “Dr. Who,” can set a Samsung smart TV into a fake “off” mode to fool the consumer into thinking the TV isn’t recording room sounds when it still is. The conversations are then sent out via the user’s server. The program was developed in conjunction with MI5, the British FBI equivalent of a domestic counterintelligence and security agency, according to the WikiLeaks documents. We are rapidly getting to the point where nothing will ever be truly private in our society ever again. 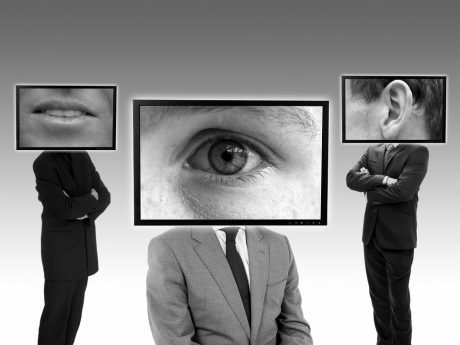 Virtually everything that we do is constantly being watched, tracked, monitored and recorded, and with each passing day our level of privacy is being eroded just a little bit more. If you don’t want your children to grow up in a world where “Big Brother” is omnipresent, now is the time to stand up and fight. We can put limits on technology and start reclaiming our privacy, but that is only going to happen if we all work together.